What Do the Records Say About Your Ancestor's Town? You can get real insight into your ancestor's hometown by looking closely at its birth, marriage, and death records. Not long ago I discovered the original hometown of my 2nd great grandmother, Colomba. 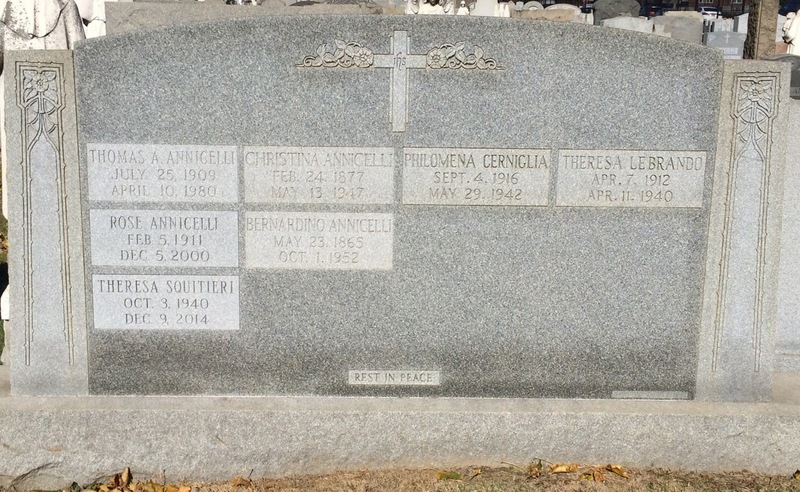 She's the only one of my 2nd great grandmothers to leave Italy and settle in America. I wanted to know which town she left behind. I had to piece together bits of evidence to learn her hometown. I discovered Colomba was born in 1845 as Vittoria Colomba Consolazio in the town of Santa Paolina, Avellino, Italy. By the time I learned this, I already had years of experience reading and documenting the vital records from a few of my nearby ancestral hometowns. This town stood out among its neighbors. Reading through all the records uncovered the differences. In those other towns, about 9 out of 10 people were farmers. They worked their plots of land to produce enough food and livestock for their own survival. A much smaller number of townsmen were shopkeepers, shoemakers, butchers, and barbers. There was usually one doctor in the town. But Santa Paolina looked different. It's a very small town. Very small. Most of the marriages in the 1800s involved a partner from another town because there weren't enough potential spouses to go around. That was the case with my 2nd great grandparents. Antonio Saviano came from another town to marry Vittoria Colomba Consolazio in Santa Paolina. Before long, they moved back to his hometown. Apart from importing marriage partners, Santa Paolina had another noticeable difference. Santa Paolina's men had better jobs. They weren't working their land to survive. This town had a lot more tradesmen (bricklayers, blacksmiths, and manufacturers) and professionals (merchants, notaries, and doctors). So many spouses came from another town. What drew them to this spot? The fact that fewer people appeared to be scraping by says a lot about the town. And possibly about the mindset of the people there. 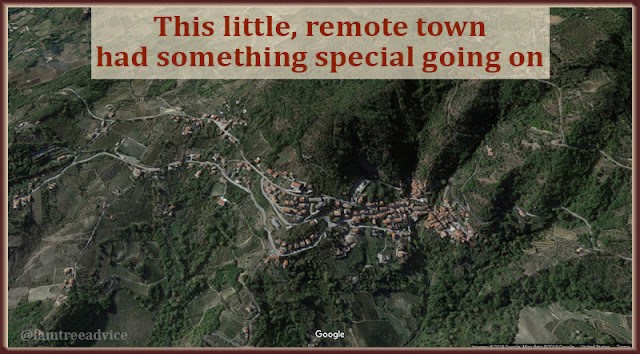 This little town is in a stream-filled valley at the foot of a mountain where prehistoric man was known to live. The town's craftsmen from the Neolithic age (which ended about 2000 BC) produced fine pottery. Today the town is known for its wines and handmade lace. Records of this town date back to the year 1083. My roots in the town may run that deep. Was it their centuries-deep roots that made this town different than its neighbors? Did their fertile land ensure the wealth of the vineyard owners? 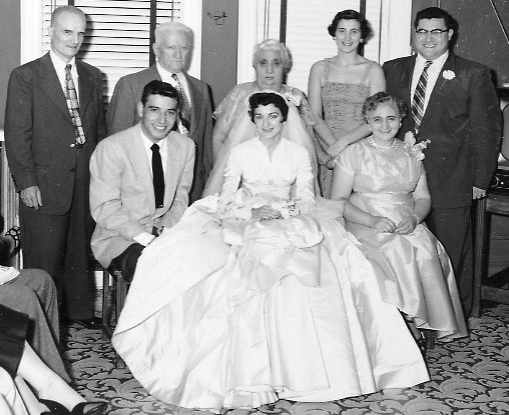 Did that attract young men and women from other towns to marry into Santa Paolina families? Did it allow people the "luxury" of being craftsmen instead of laborers? When my 2nd great grandfather Antonio came to Santa Paolina for marriage, he was a shoemaker. He came from such a small town, I walked up and down most of it in a few minutes last year. Antonio had a different occupation each time one of his children was born. He was a bricklayer, a manufacturer, a farmer, a driver, and a merchant. Based on marriage records, it seems my 2nd great grandmother's brothers may have inherited the family's land. That may be why Vittoria and Antonio moved back to his hometown. It may also be why Antonio kept changing professions. If Vittoria's father did overlook her, that may have encouraged my 2nd great grandparents to come to America. According to the U.S. census, 10 years after arriving in New York City, 67-year-old Antonio had his "own income". He retired soon after. His family never seemed to want for anything, and Antonio was respected in his community. It looks like my 2nd great grandparents made the right decision. Thanks to DNA, I've discovered some distant cousins with shared roots in Santa Paolina. I'm busily working to fill out our common branches. Somewhere in those documents I may find out why this town was so different than its neighbors. 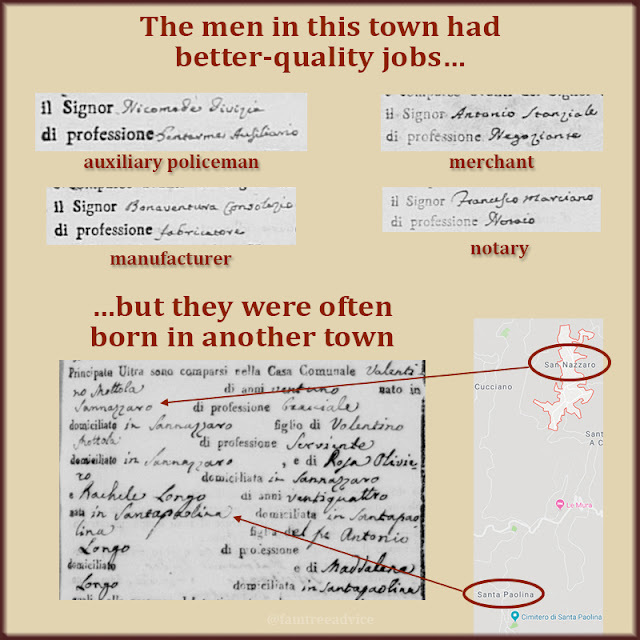 What can vital records tell you about your ancestor's hometown when they lived there? Here's how I'm finding the missing connections for my newly discovered ancestor. Recently I told you how I found a big error in my family tree. It was the result of hard-to-read documents and my not being familiar with a particular town's families. I wound up following Rubina Cenzullo when I should have been looking for Ruffina Zullo. Some of my ancestors moved to nearby towns to marry. When her death record showed me the truth—that Ruffina was born in another town—I knew exactly what I had to do. But now I have a new family named Zullo, and a whole new branch to discover. Ruffina's parents were Leonardo and Caterina. But I want to learn the names of my 4th and 5th great grandparents in this branch. Here's what I'm doing to expand my new Zullo branch. When two children of the same parents have the same name, it's a safe bet that the 1st child died before the 2nd was born. The 1st Saverio, in this case, should have died before the 2nd Saverio was born in 1813. To prove that, I downloaded the town's 1811 death records. I found that the 1st Saverio died in October 1811. But I found a surprise, too. A month earlier, in September 1811, another Ruffina Zullo died. She was the daughter of the same parents as the other children, and she was 2 years old. It's only because this Ruffina died that my Ruffina got her name. The correct name led me to a new family unit. This opens up another avenue for me to explore. I checked the 1809 Apice birth records. Ruffina was not born in Apice in 1809 (not in 1810 or 1811, either). But I noticed something important. 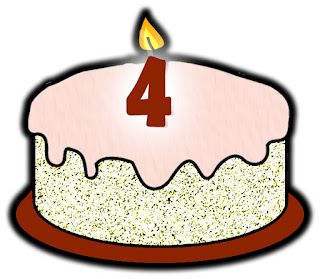 There are lots of people named Zullo in Apice to this day. 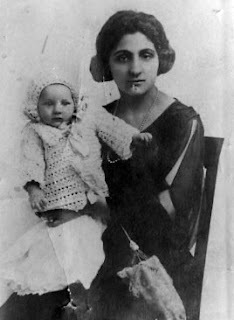 But there was no one there with the same last name as Ruffina's mother: Trancuccio. While thinking about this, I formed a theory. Did Leonardo and Caterina, the parents of the Zullo siblings, marry in another town? Was it Caterina's hometown? That would explain why no other people in Apice have Caterina's last name. 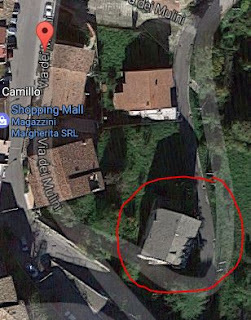 If this theory is right, 1809 Ruffina could have been born in Caterina's hometown. This isn't far-fetched at all. 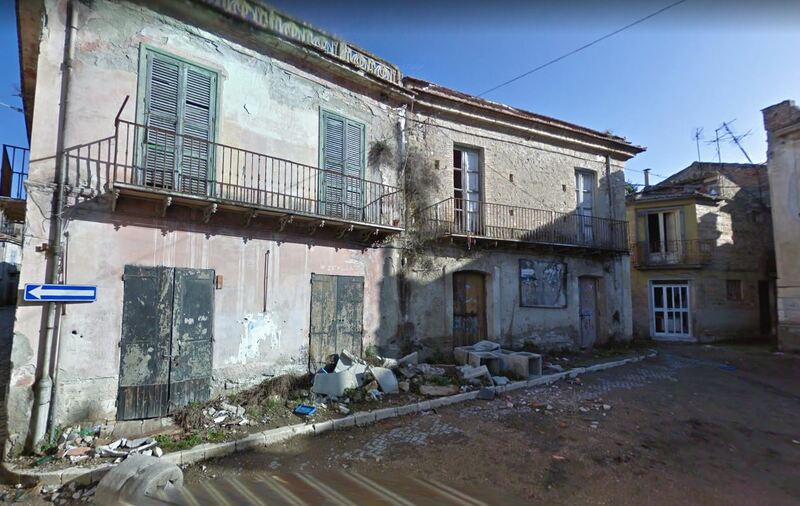 Many times in 1800s Italy a couple would marry in the wife's town but live in the husband's town. My Ruffina's daughter Vittoria has a similar story, but with more complications. I used a website to see where Caterina's last name exists in Italy. I find it mostly in 2 nearby towns. Another tip: Enter the last name into a genealogy site search for immigration records. See where those people came from. I downloaded the 1809 and 1810 birth records from these 2 likely towns. So far, I haven't found my 4th great aunt Ruffina Zullo. But I have found people with the last name Trancuccio. I still like my theory, but I may have to check more towns. of town. It was destroyed and abandoned after a 1962 earthquake. There was another surprise waiting for me when I located my 3rd great grandmother Ruffina's siblings. On her brother Saverio's 1811 birth record, the father of the baby is "Leonardo Zullo di Saverio". That means "Leonardo Zullo, son of Saverio". That's exactly what you hope to find! Saverio is baby Saverio's grandfather, and my 5th great grandfather. This Saverio Zullo was born in about 1764, possibly in the same town where Ruffina was born in 1816. What can I do with 1764 Saverio's name to help build my tree some more? Well, while looking for Ruffina's siblings, I saw several other Zullo babies born to different fathers. I also found some Zullo men and women who married in that town between 1809 and 1815. I can download all those records easily. Found an ancestor's birth record? Search the surrounding years for the births of their siblings. Comb each record for more information, like ages, occupations and other relatives. Based on the oldest sibling's birth, try to find marriage records for their parents. Starting in the year of the youngest sibling's birth, try to find death records for their parents. Pay attention to names. If your ancestor is from a big city, this isn't as helpful. But if you're looking at records from a really small town, you should see a lot of last names repeated. These are the long-standing families in that town. If your ancestor's last name is unique, maybe they're from another town. Finding out Ruffina was born in Apice when I knew she married and had babies in Santa Paolina was a big surprise. Keep your mind and your eyes open. Let the facts you have suggest a theory about the facts you don't have. Then try to prove that theory. Don't give up the search! My mom and dad grew up a block apart in the Bronx, New York. They went to the same grade school that was part of the church in their neighborhood. When I first started exploring my family tree, I was using a website with no search function to view the census. I went page by page through the 1930 census for my parents' neighborhood. Virtually every last name I saw on those pages was familiar to me. They were names I'd heard all my life. Some of them were my relatives, others were my family's friends. It felt like I was walking through the past. It turns out there was a lot more family history in those few blocks of New York City than I'd imagined. My mother's grandfather owned her apartment building, so everyone living there was my relative. I'd always known that. But my father's building is turning out to be a genealogy treasure trove. My dad was born in Ohio. You'd never know it by this thick New York accent, but he was a product of a small town near Youngstown. When he was three years old, his family moved from Ohio to the Bronx. From what I've heard, my grandfather was not happy working for the railroad or the steel mill in Ohio. He found it to be dirty work, and he hated it. Grandpa's uncle Giuseppe in the Bronx offered the family a place to live. So my dad's family of four moved in with this uncle at 275 East 151st Street. My mom lived on the next block at 260 East 151st Street. I have to marvel at the fact that if Grandpa hadn't been unhappy with his job in Ohio, my parents would never have met. This past week I've been collaborating on my family tree with a new-found cousin-in-law. While her husband is a DNA match to me and my dad, he's also related to Grandpa's sister by marriage. So…that's a puzzle we're working on. I quickly found that her husband's uncle Damiano, born in Italy, lived in the same Bronx building as my dad! 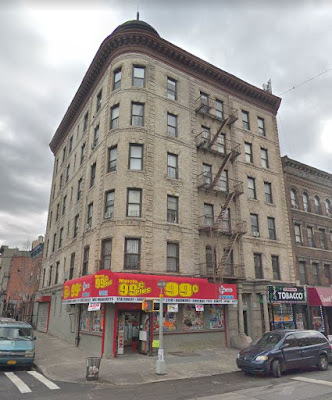 This was dad's second home in the Bronx: 562 Morris Avenue at the corner of 150th Street—still very close to where my mom lived. were from the same small town in Italy. That's no coincidence! As I collaborated with my new cousin-in-law, I remembered my dad's lifelong best friend has the same last name as her husband. So I asked my parents a few questions about him and began to dig. Dad's best friend Johnny grew up in that same building at 275 East 151st Street. 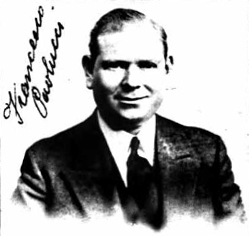 His father Francesco died in 1939, but he became a U.S. citizen a few months before he died. His naturalization papers said he was born in Benevento. (The province or the city? It didn't say.) The papers included the exact date he arrived in America. When I found his ship manifest, well, do you want to guess where in Benevento he was born? Colle Sannita! The same town as my grandpa and everyone else I've mentioned above. I was able to go back three more generations in my dad's friend Johnny's family tree. They lived in Colle Sannita at least as early as the 1700s. Same as my ancestors. My dad's two addresses from age three to age 20 are jam-packed with family tree treasures for me. The best coincidence about my dad's childhood building? In another apartment was a boy several years older than him named Ralph. That boy would grow up to marry my mom's sister. So my dad grew up in the same building as my uncle—his future brother-in-law. Did your ancestors live in an apartment house in a city? Or a multi-family house in any town? Take a closer look at all the names in that apartment building or home. Our immigrant ancestors often arrived intending to join a relative or friend. Were they all in the same apartment building? How much does that apartment building have to offer your family tree?